Copyright © 2015 by Daniel Jose Older All rights reserved. Published by Arthur A. Levine Books, an imprint of Scholastic Inc., Publishers since 1920. SCHOLASTIC, and the LANTERN LOGO are trademarks and /or registered trademarks of Scholastic Inc.
“Sierra? What are you staring at?” “Nothing, Manny.” Blatant lie. Sierra glanced down from the scaffolding to where Manny the Domino King stood with his arms crossed over his chest. “You sure?” he said. “Yeah.” Sierra looked back at the mural. She hadn’t been making it up: a single tear glistened at the corner of Papa Acevedo’s painted eyes. The tear wasn’t moving — of course it wasn’t moving: It was paint! But still: It hadn’t been there yesterday or the day before. And the portrait was fading; it seemed to disappear more and more every hour. This afternoon when she arrived at the Junklot to work on her own mural, it took Sierra a few seconds to find the old man’s face peering out from the brick. But fading murals and crying murals were totally different flavors of weird. She turned back to her own painting, on a much newer concrete façade adjacent to the old brick building from which Papa Acevedo’s face stared out. “Hey, Manny,” Sierra said. “You sure the people who own this building won’t be mad about my mural?” “We’re sure they will be,” Manny chuckled. “That’s why we asked you to do it. We hate the Tower. We spit on the Tower. Your paint is our nasty loogie, hocked upon the stupidity that is the Tower.” “Great.” The Tower had shown up just over a year ago, totally unannounced: a five-story concrete monstrosity on a block otherwise full of brownstones. The developers built the outer structure quickly and then left it, abandoned and unfinished, its unpaned windows staring emptily out into the Brooklyn skies. The Tower’s northern wall sat right on the edge of the Junklot, where mountains of trashed cars waited like crumpled-up scraps of paper. Manny and the other old guys who played dominos in the lot had immediately declared war on it. Sierra dabbed dark green paint along the neck of the dragon she was working on. It reared all the way up to the fifth floor of the Tower, and even though most of its body was just an outline, Sierra could tell it was gonna be fierce. She shaded rows of scales and spines, and smiled at how the creature seemed to come to life a fraction more with each new detail. 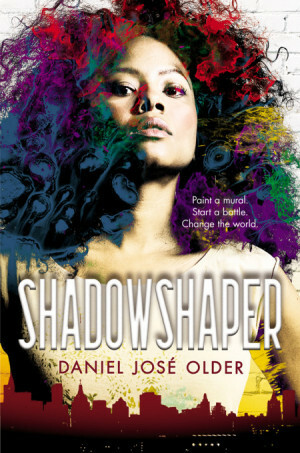 Daniel José Older is the author of the upcoming Young Adult novel Shadowshaper (Arthur A. Levine Books, 2015) and the Bone Street Rumba urban fantasy series, which begins in January 2015 with Half-Resurrection Blues from Penguin’s Roc imprint. Publishers Weekly hailed him as a “rising star of the genre” after the publication of his debut ghost noir collection,Salsa Nocturna. He co-edited the anthology Long Hidden: Speculative Fiction from the Margins of History and guest edited the music issue of Crossed Genres. His short stories and essays have appeared in Tor.com, Salon, BuzzFeed, the New Haven Review, PANK, Apex and Strange Horizons and the anthologies Subversion and Mothership: Tales Of Afrofuturism And Beyond. Daniel’s band Ghost Star gigs regularly around New York and he facilitates workshops on storytelling from an anti-oppressive power analysis. 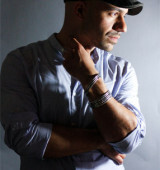 You can find his thoughts on writing, read dispatches from his decade-long career as an NYC paramedic and hear his music at ghoststar.net and @djolder on twitter.